Coming to Cinemas this August, The Fan Carpet are exited to bring you the First Trailer and First Look Photo for THE HITMAN'S BODYGUARD, courtesy of Lionsgate! THE HITMAN’S BODYGUARD is an action comedy about the world’s top protection agent (Reynolds) and his new client: a notorious hitman (Jackson). They’ve been on opposite ends of a bullet for years but now must come together for 24 hours to get from England to The Hague. The only thing standing in their way is the murderous dictator (Oldman) who uses his power to create trouble for the pair at every stop along their way. Lionsgate’s Summit Entertainment presents, Millennium Films presents, in association with Cristal Pictures and East Light Films, a Millennium Films and a CG Films production. 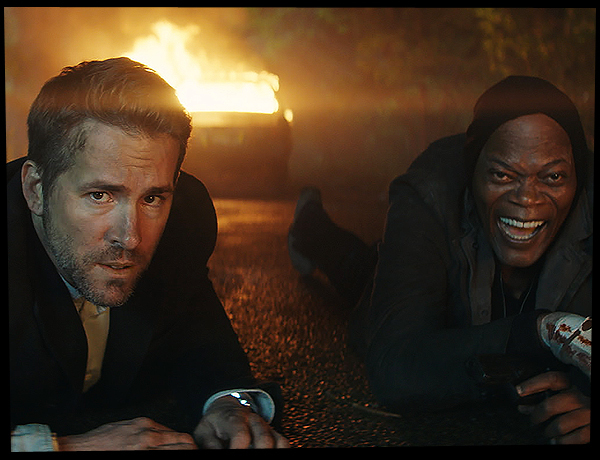 Starring Ryan Reynolds, Samuel L. Jackson, Gary Oldman, and Salma Hayek, Elodie Yung, Joaquim De Almeida, Kirsty Mitchell, with Richard E. Grant, THE HITMAN'S BODYGUARD hits Cinemas on August 18.